Product #18392 | SKU ID-A-E2LCD-2 | 0.0 (no ratings yet) Thanks for your rating! An adaptor was designed for use with various LCD monitors. 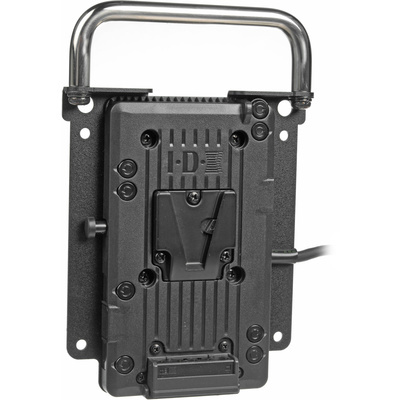 The IDX A-E2LCD is a V-Mount battery power adapter specifically designed for the BT-LH1700W. The A-E2LCD takes advantage of the IDX exclusive PowerLink capability of mounting up to four (4) ENDURA V-Mount batteries, giving users unprecedented power, making it an excellent option for higher power requirements. Using the industry standard VESA 100 base, the A-E2LCD-2 battery adaptor was designed for use with various LCD monitors. Power to the LCD is provided via the adaptor’s 4-pin pigtail XLR female connector.